Greetings friends and fellow crafters, LeeAnn here with my first project of the year representing Scrapping For Less. This month is ALL ABOUT COFFEE, and oh boy am I excited. I think I own more coffee products for my crafts than any other and my stash just continues to grow. For this card I used a rubber cling stamp "Shared Coffee" by Stampendous and stamped it using MFT Hot Cocoa ink. I then used Chameleon Markers to color in the Coffee cup and saucer. The background paper of coffee beans is from the Echo Park "Coffee" paper pad. 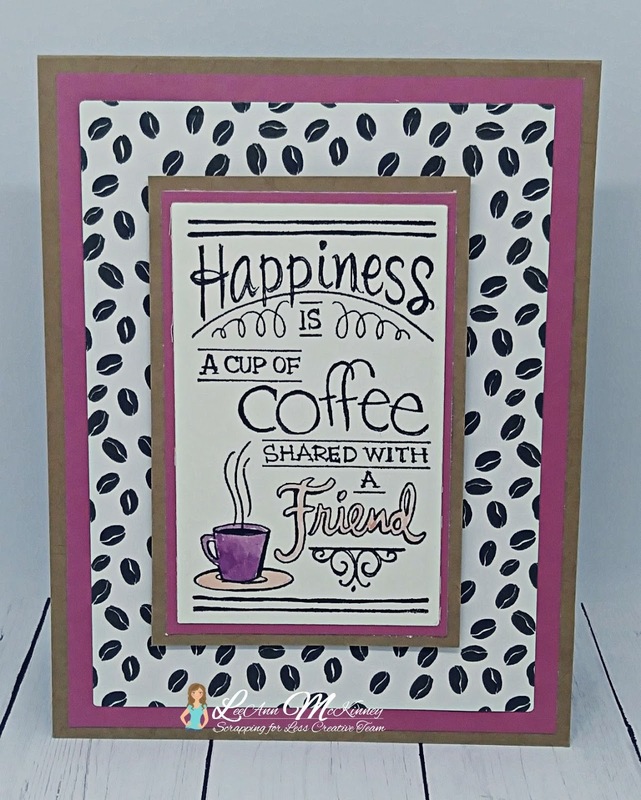 This was honestly such a quick and easy card to make and it is one of my favorites that I made this month. Stay tuned this coming Friday for the next two.